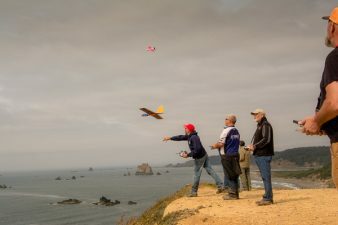 Zooming gliders in all shapes and sizes soar off the cliffs near Cape Blanco for Slopefest 2017. RC glider pilots flock to Slopefest like airplane pilots descend on Oshkosh. Dogfights and acrobatics fill the air well within observing distance from our work at the lighthouse. Here is my report from this exciting event.